A terrific collection of Dogwood, we have brought together three spectacular bushy shrubs ideal for creating a showy feature in the garden. 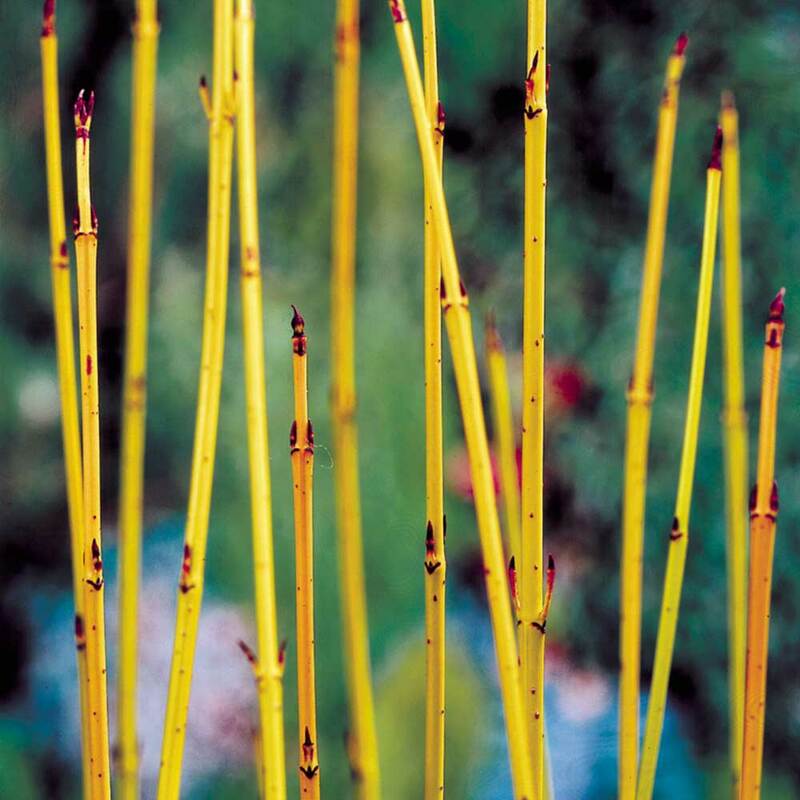 They are an all year round delight, and will give a great reliable performance, stability of colour and form. 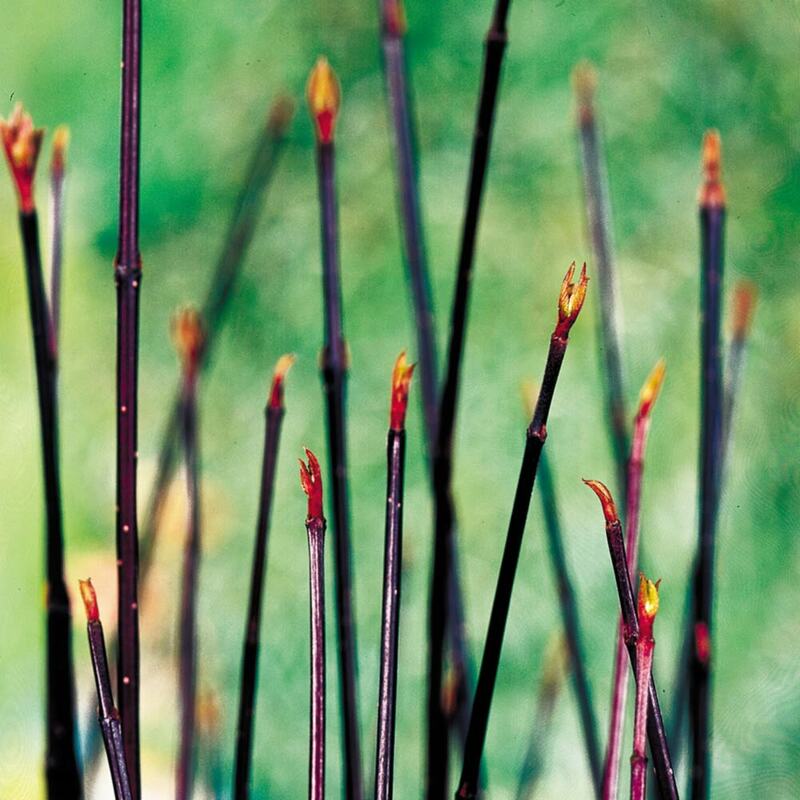 They have a good resistance to pests and diseases. 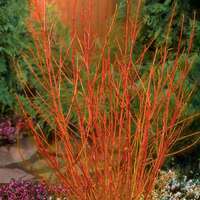 The stems have long been a favorite with flower arrangers, and are ideal for creating an imaginative indoor winter display. 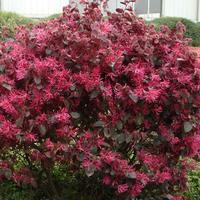 This hardy shrub will grow in most soil conditions in full sun or partial shade. 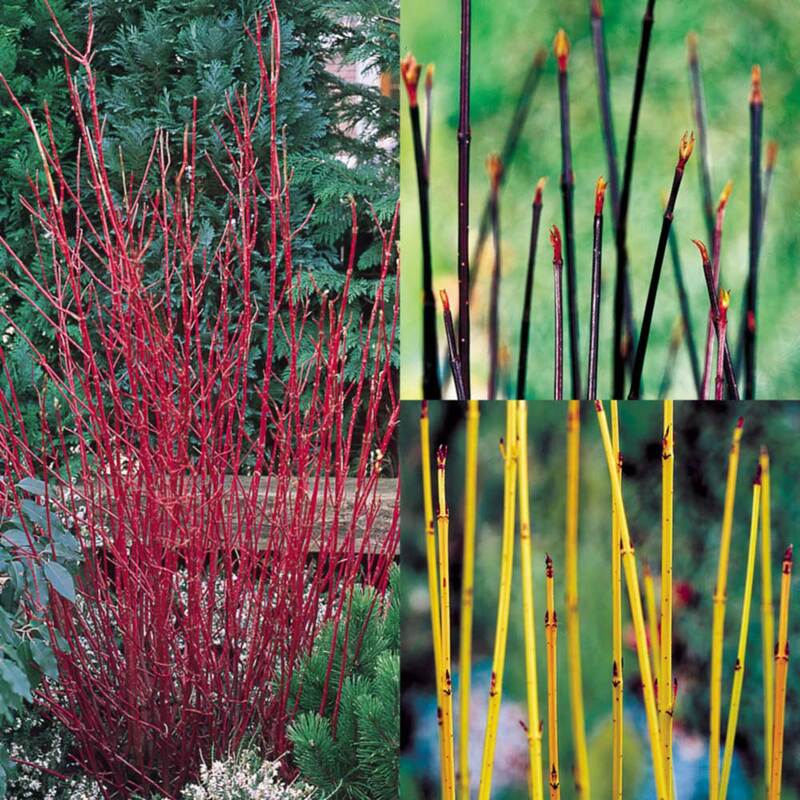 The collection is for one each of Alba Siberica (flaming crimson winter shoots), Kesserlringii (rich dark purple stems) and Flaviramea (RHS awarding wining plant, vivid yellow). 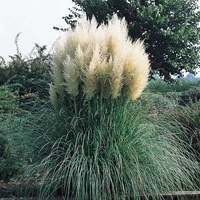 Height and spread 2m, bare rooted plants supplied. 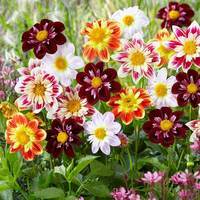 Suitable for planting in most types of soil, and if you have the space then we recommend that you plant in groups of three for an even spread. 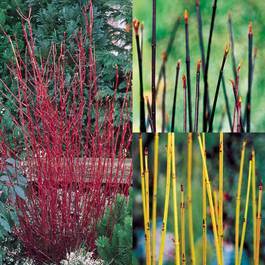 The cornus (dogwood) is an amazing and unique addition to any garden display, as it will produce wonderfully colourful shoots in winter. 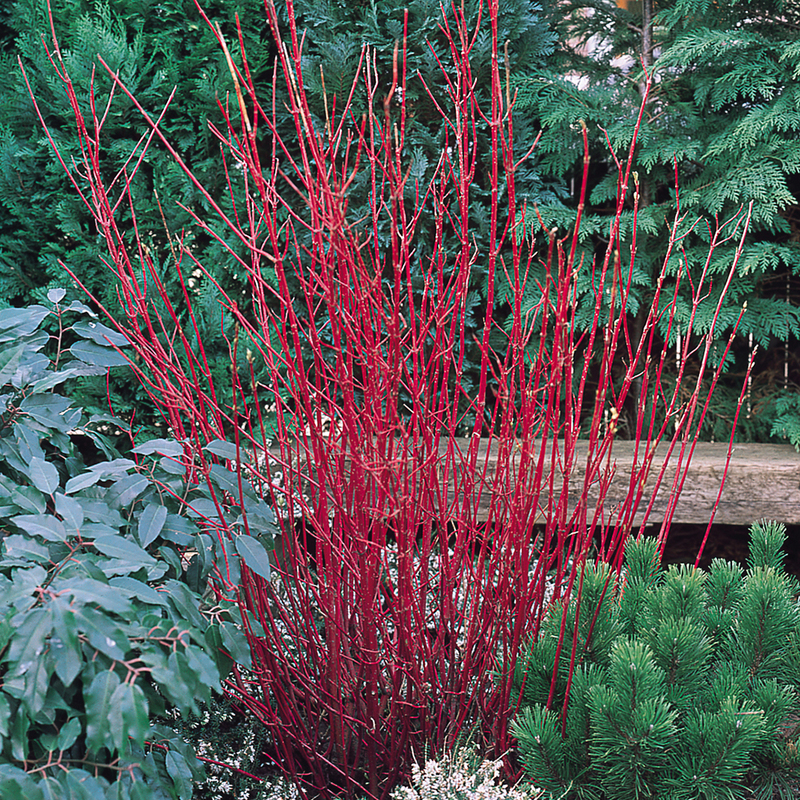 Will thrive in full sun or partial shade, and require little pruning, though you can prune back in mid-spring to help keep a comfortable shape. Make sure they get plenty of water in the dry season.